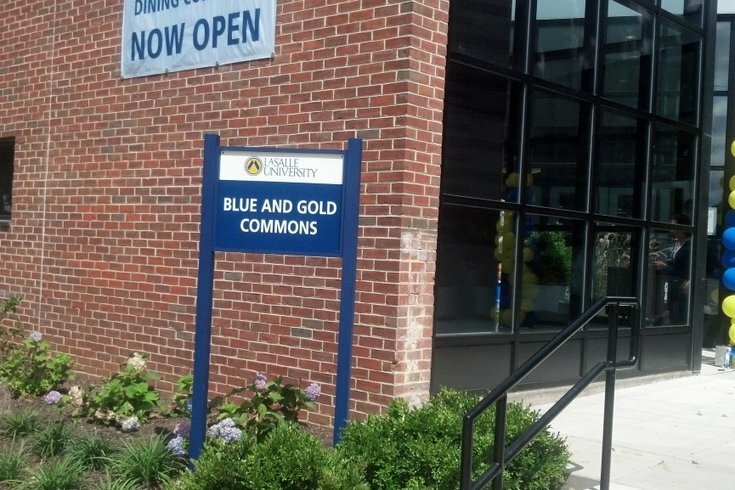 Entrance to the Blue and Gold commons and dining hall on La Salle's campus. La Salle University is turning back the clock to 2008 as the Philadelphia school aims to improve affordability for potential students. The school announced Tuesday that tuition will be slashed by 29 percent for the 2017-18 academic year. The "tuition reset" will drop the current price of $40,400 to $28,800, the same rate that students paid in 2008. The school called the initiative "An Affordable Path For All," which targets families who might be scared away by the high "sticker price." Although 97 percent of students receive scholarships and financial assistance, La Salle Vice President for Enrollment Services Tom Delahunt worried that families might assume they could not afford to attend. The school noted that most current students will pay considerably less, but guaranteed that no student will pay more. However, financial aid and grants will be reduced to compensate for the lower tuition. The move comes a year after La Salle froze its tuition. The school claimed it was the only institution to do so in the Philadelphia area. La Salle’s renaissance is well underway, and we will continue to boldly meet the calling of our mission," Hanycz said.